The existing PA system was very basic & due to having multiple small speakers through the space, it sounded like a tunnel. We provided a demonstration of the perfect PA system. Four weeks later we had the system installed as well as a projector and screen. The sound covers the entire room evenly throughout. The Audio is controlled via iPad. 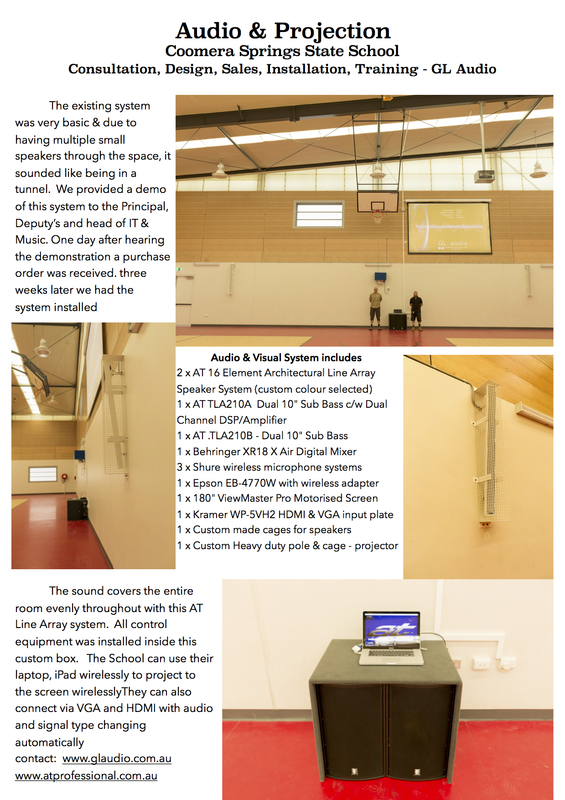 The Schoo use their laptop & iPad wirelessly to project to the screen.They can also connect via VGA and HDMI with audio and signal type changing automatically. Contact Greg Loxton for a FREE demonstration of this system in your space.